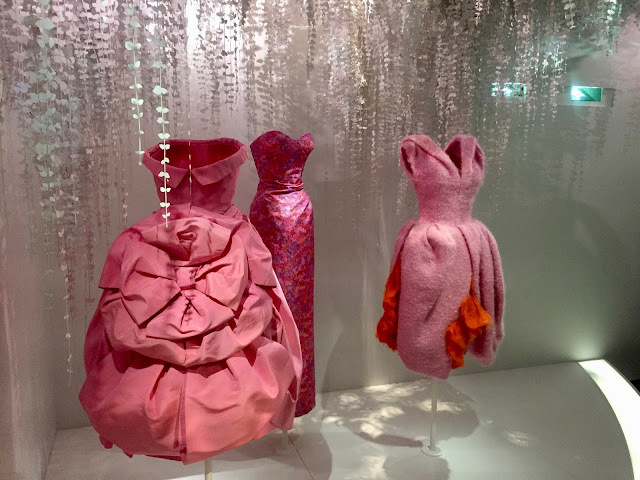 I you follow me on Instagram, you will have noticed that today I went to see the Dior exhibition, hosted by Musée des Arts Décoratifs and I just loved it. Honestly, it's one of the most beautiful exhibitions I have ever seen. 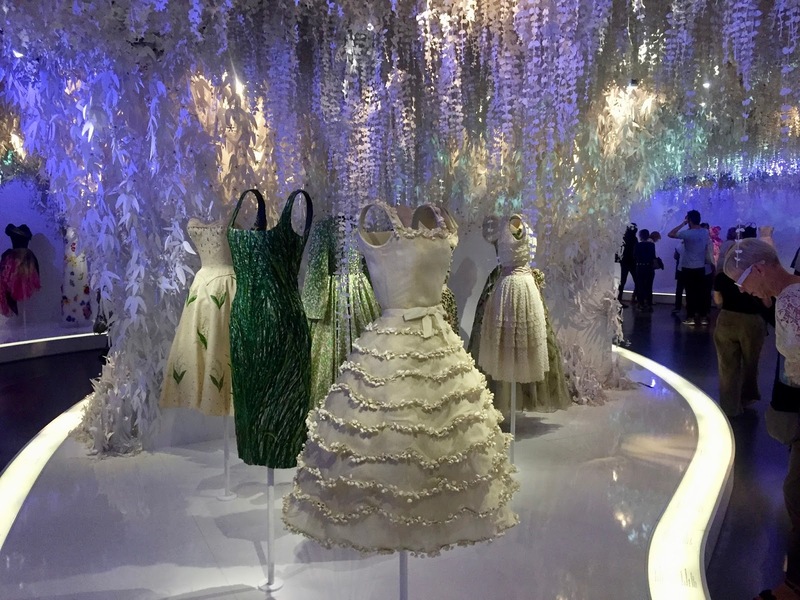 It's been set up to celebrate the 70th anniversary of the creation of the beautiful Maison Dior and it's just magnificent. 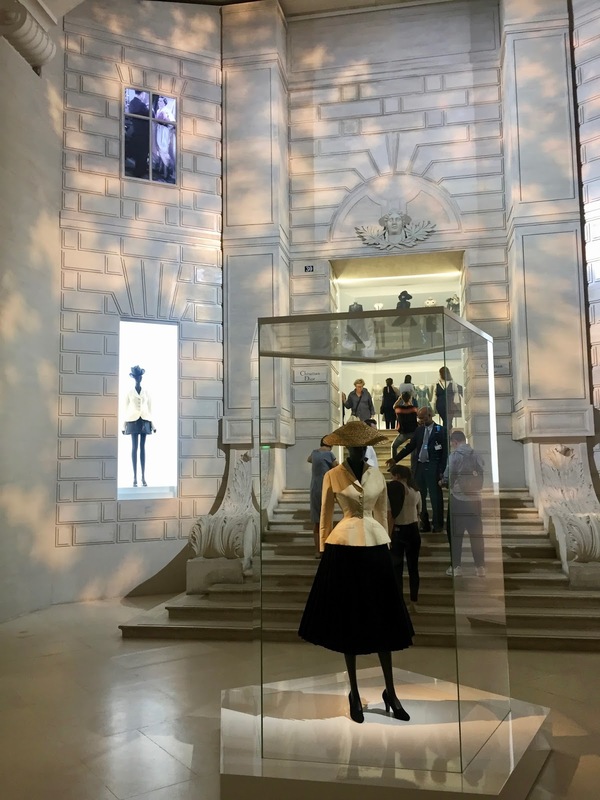 The space dedicated to the installation is the biggest ever used by the museum for such an event: together with the usual two levels of the fashion area, the curators have invested the opposite nave. By the way, do make sure you don't miss this part. It was my favourite. 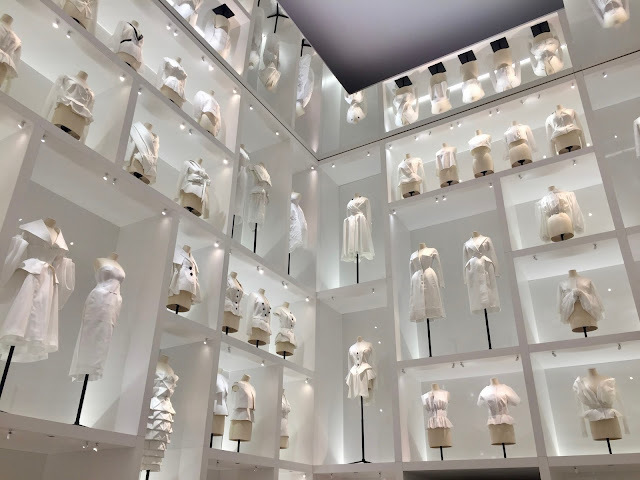 It's dedicated to the creations of the couturiers who succeeded Monsieur Dior: Yves Saint Laurent, Marc Bohan, Gianfranco Ferré, John Galliano, Raf Simons and recently Maria Grazia Chiuri. So, as I said, it's huge. 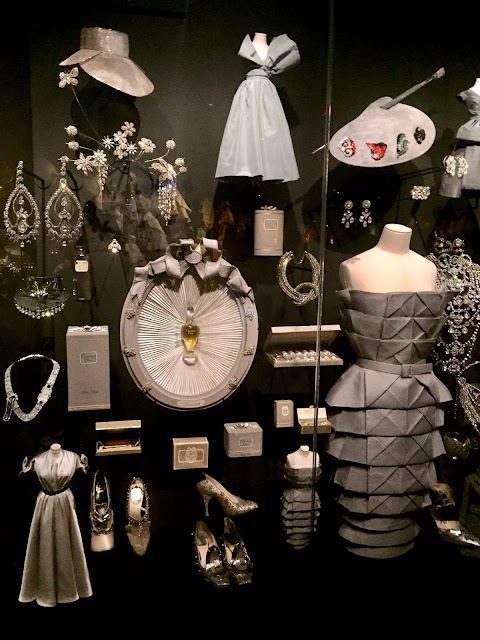 There is so much to see: hundred of documents, accessories (hats, jewellery, bags, shoes, perfume bottles), paintings, furniture and... over 300 magnificent Haute Couture gowns designed between 1947 and today. 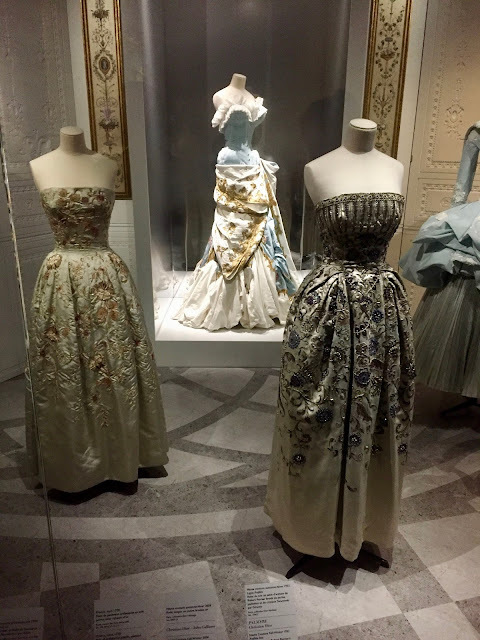 To me, the best moment, even though, I liked every moment of it, was in the last room, where tens of gowns worn by queens, princesses and actresses are presented. These unique pieces are stunning and knowing that such famous people worn them makes it even more impressive. I loved the fact that these beauties are presented in such a giant room with a sky-high ceiling. And the staging! Wow! Just wow! There is music in the background, lights are changing... Everything is just perfect! The only drawback of this afternoon, is that the exhibition is victim of its own success and there were far too many visitors at the same time for me. Especially, on the first floor. You also may have to queue for around 2 hours before getting in! To avoid that, I would recommend to buy a ticket on-line, on the website of the museum. That's what I did and I entered straight away.